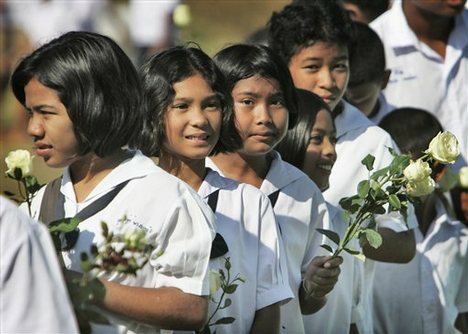 UNESCO, the United Nations Educational, Scientific, and Cultural Organization in Bangkok, Thailand, released an article with these important words: "If we are serious about making a real, positive change to society, we need to make a firm commitment to a long-term investment in girls’ and women’s education." " Let’s use this important occasion to take a closer look at this year’s theme: Gender Equality in Education. Education leads to profound life-changing choices. However, in this advanced age of the 21st Century, over 39 million girls in the Asia-Pacific region, who do not have access to a primary-level education, are still denied this fundamental human right." In East-Asia and the Pacific, a staggering 74.5 million women are illiterate, representing 71 per cent of total 105 million adults. Women in South Asia have only half as many years of education as their male counterparts. in South and West Asia, on average, only one in two women could read and write. Let us join UNESCO Bangkok in standing up for Girls Education. With our Vision for Girls Clubs this year, we hope to bring our Girls Club for Literacy Program to Thailand in the near future!